Mondi's SiyaQhubeka Forests has taken further positive steps towards the implementation of the New Generation Plantation (NGP) approach in northern KwaZulu-Natal (KZN), South Africa. Extensive tracts of South Africa's plantation forests, formerly held by the state, were privatised in 2001, and SiyaQhubeka Forests successfully bid for plantations on the western shores of the world-renowned Lake St. Lucia. 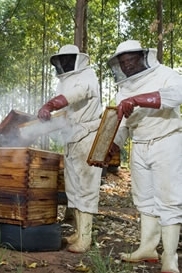 SiyaQhubeka Forests, a partnership between Mondi, its black economic empowerment (BEE) partners, government and local communities, was also the first commercial entity to delineate an accurate 150-kilometre eco-boundary line between a World Heritage Site (in this case, iSimangaliso Wetland Park) and a forestry plantation. In doing so, SiyaQhubeka Forests successfully applied the principles and thinking behind NGPs (see below) and transformed a long history of passionate dispute between local forestry operations and environmentalists into a true partnership. As a result, the iSimangaliso Wetland Park gained 9,000 hectares to be returned to high-conservation value (HCV) ecosystems. This land has now largely been rehabilitated to wetlands and grasslands, restoring soil and water conditions and encouraging biodiversity. 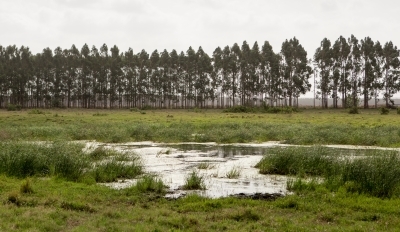 The SiyaQhubeka Forests plantation areas, including associated wetlands, natural forests and key ecological networks have now become part of the iSimangaliso Wetland Park. It forms the buffer between the park, local communities and commercial farming areas, extending the habitat that allows for species such as elephant, rhinoceros, buffalo, cheetah and other game to roam freely within the commercial forestry area. The integration and engagement of local communities and small growers in the plantation model have raised the levels of skills, education and viable small businesses in the area. 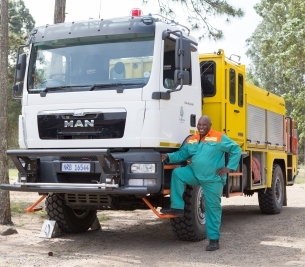 Given its fundamental philosophy of symbiotic forestry, SiyaQhubeka Forests continues to strive for the establishment of sustainable and mutually beneficial relationships between the forestry sector, the community and the environment. Today, the plantations and the park are thriving enterprises, animals are free to roam, the wetland areas have been restored to functionality and trust levels are high. Importantly, the process has transformed long-standing conflicts into partnership by generating co-operation between business, NGOs and government in a sustainable win-win solution that has set new conservation standards for South Africa's commercial forestry plantations. SiyaQhubeka Forests has also committed to conservation and responsible forestry management through the certification of its plantation under the forestry certification scheme and co-operation with the iSimangaliso Wetland Park authority. Lake St. Lucia is one of the largest estuarine systems on the African continent and is recognised for its historical background, its significant natural resources (many of which have considerable scientific value), its considerable natural beauty and as a popular tourist destination. Lake St. Lucia is the Mkuze River estuary, but also receives its water from a number of other smaller rivers and streams. Its associated wetland and marine environments cover almost 290,000 hectares and it has long been regarded as being of major importance for nature conservation and tourism. As the only remaining coastal wilderness in the country, the area is vulnerable to disturbances from several quarters, particularly from development along the western periphery of the park. The western shores of the lake are home to extensive HCV wetlands and have significant conservation and tourism potential. Historically, plantation forests on these shores were of particular concern as they reduced fresh water flow into the lake (especially important in the dry season when salinity levels in the lake escalate), negatively affecting the lake's biodiversity resources. In 2000 a study of the plantation forests on the western shores of the lake showed that some portions of this land comprised areas of conservation-worthy natural communities and wetlands, while other areas were well suited to commercial afforestation without significantly affecting the park itself. The study proposed two primary zones: a commercial afforestation zone and a natural zone comprising conservation-worthy natural communities and incorrectly sited plantations which should be restored to their natural states. This latter area, now known as the iSimangaliso Wetland Park, is the most important protected coastal area in the country and is listed as a World Heritage Site. Criteria for land to be included in the natural zone included the presence of important biological communities, water source areas and wetlands. Soil more suited for afforestation was included in the commercial afforestation zone. The study suggested that the boundary following natural features would best satisfy these aims. The solution ultimately adopted by Mondi was to use soil augers to separate broad soil groupings (essentially separating dryland soils and wetland or hydromorphic soils). Based on a scientific ecosystem assessment and following a participative approach involving Mondi, SiyaQhubeka Forests, the government, environmental NGOs and the park authority, the agreed position of the eco-boundary line recognised the importance and functionality of the extensive wetland systems for Lake St. Lucia. The eco-boundary agreement paved the way for the transfer of 9,000 hectares of commercial state plantations with significant potential conservation value to the iSimangaliso Wetland Park and for the official inclusion of 14,200 hectares of SiyaQhubeka Forests' commercial landholdings and associated natural ecosystems into the park on the western shores of Lake St. Lucia. 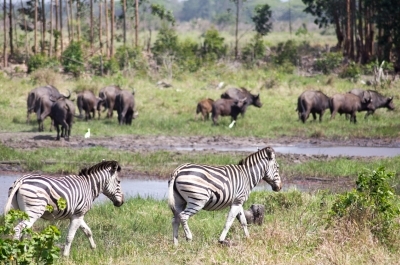 The land transferred has now been rehabilitated to functioning wetlands and grasslands and the SiyaQhubeka Forest commercial areas including important wetlands, forests, grasslands and ecological networks have extended the habitat for a wide range of species in the iSimangaliso Wetland Park. Mondi's participation in global and local initiatives to improve intensively managed planted forests has enhanced existing forestry practices, resulting in a new generation of highly productive plantation forests, which address economic, social and environmental issues more equitably. SiyaQhubeka Forests is a good example of this approach. By definition, New generation plantation forests support wealth-creating industries, sustained livelihoods – particularly in rural areas – and provide a range of social and environmental benefits. The negative effects of plantation forests can be minimised by applying the principles of new generation forests that include integrated land use planning to address environmental and social aspects. SiyaQhubeka Forests views BBBEE as a vital component of economic and broader transformation and are fully committed to the objectives enshrined in the Forest Sector Transformation Charter. We continuously strive to ensure that we provide an environment in which diversity is embraced. In so doing SiyaQhubeka Forests aims to ensure that our business strategy and procurement processes are developed to achieve measurable progress towards genuine black and local economic empowerment. Our commitment is evidenced by 70% of the total value of contracts being allocated to local community entrepreneurs. Wetlands and other sensitive environmental and social areas have been rehabilitated and SiyaQhubeka Forests has implemented its Socio-Economic Assessment Tool (SEAT) throughout its plantations.